Average body temperature is 98.6 F but individuals may have consistently lower or higher temperatures. For adults over 18 years old, a temperature over 100 F is considered to be a fever. Since the body’s natural immune system uses fever to kill infections it is not always necessary or advisable to treat a fever. Here are some basic guidelines for fever treatment and some home remedies using herbs. If there are no other symptoms like stiff neck, shortness of breath or severe headache, a fever of 102 F requires no medication or treatment. If there are unusual symptoms, consult your doctor. Otherwise, it is probably best to let your fever run its course. If your temperature stays above 103 F or lasts for longer than three days you should get some medical advice. 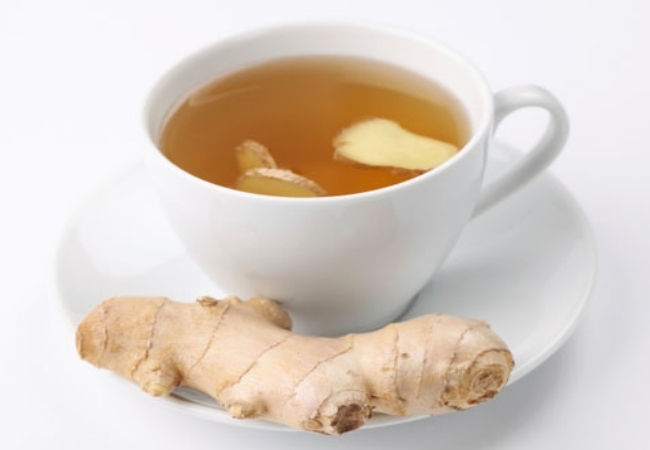 To make yourself more comfortable you can use these herbal teas to reduce the fever. This pale, knobby root has many beneficial properties besides reducing fever. It is antioxidant, antibiotic and antimicrobial. It stimulates the immune system to boost natural healing. It acts as an expectorant to aid in clearing head and chest congestion. Use the firm, fresh root of the ginger from the produce section of your supermarket. Peel a piece of ginger about one inch long and slice or grate it into one cup of boiling water. Let the brew steep for ten minutes and then drink the tea. If you like you can sweeten and flavor the tea with honey and a splash of fresh lemon. You can also purchase ginger ale from your market or health food store and drink it as a healing tonic. Make sure the ginger ale has real ginger, not artificial flavorings, as a main ingredient. Another excellent fever tea is made from ½ teaspoon each elder flowers, yarrow flowers and peppermint leaves steeped for ten minutes in two cups of boiling water. Strain out the herbs and sip as much hot tea as you like to reduce a fever.Keep these healthful herbs on hand to treat fever.